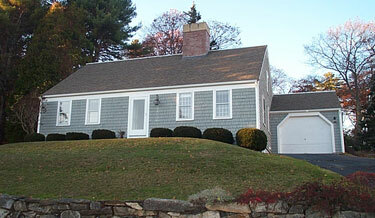 Our Gray Cottage is a spacious three bedroom two-story cape with a great water view. Included are 2 bedrooms on the first floor (1 king bed and 2 twin beds) and 1 bedroom on second floor (2 twin beds or 1 king bed), a full bath on the first floor and a half bath on the second floor, fireplace, dishwasher, microwave, a sitting area on the second floor with cable TV, as well as a den on the first floor with cable TV and DVD player. We supply an outdoor gas grill and picnic table. Occupancy six persons. Sorry, we're unable to take pets. Free WIFI.